It’s that time of year when high school graduations become the focus of many families. In conjunction with this rite of ceremony comes the likelihood that graduates you know will be travelling to college. Your teenager will need one of the numerous used cars in St. Charles. What a great graduation present! The IIHS (Institute for Highway Safety) shows that when parents who opt to purchase a vehicle for their graduate, that 83% choose pre-owned. Statistically, used cars are both dependable and affordable. IIHS believes that there are 4 standard rules that must be applied to young drivers. They include: inclusion of electronic stability control, a NHTSA (National Highway Traffic Safety Administration) rating that is high, avoiding vehicles with high horsepower and not purchasing sports cars. Checking the VIN on a car also supplies essential information about recalls. Is a car loan affordable? Most independent dealers are happy to provide financing for a variety of financial situations. Large cars such as the 2007 and newer Volvo S80 and 2015 and later Toyota Avalon. 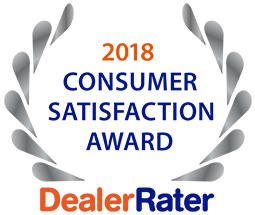 Reach out to 5 Star Auto Plaza at (636) 940-7600 to learn what’s in our current inventory or visit the dealership to look over our selection of reliable used cars in St. Charles.